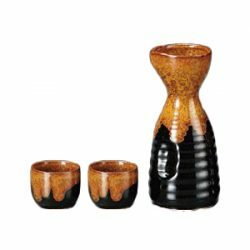 Created in Gifu, Japan, this tradition craft Mino Ware sake vessel set contains a katakuchi sake vessel set for cold sake. 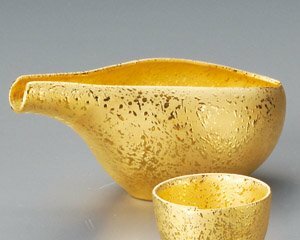 The characteristic of having no special characteristics is often said for Mino Ware, the manufacturer of many types of ceramics. 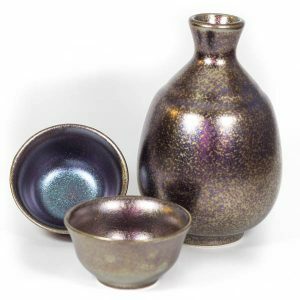 Within sake vessels, the gold color in the finish of this set makes it particularly beautiful. 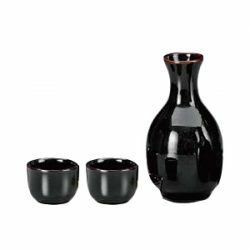 The unique round form is not only pleasant to the eyes but has a sensation of smoothness to the touch that only ceramic pieces can express. 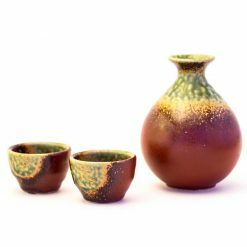 The uneven texture of ceramics is easy to blend into the grasp of the hand and let us not forget no two identical sets exist in this truly original creation. 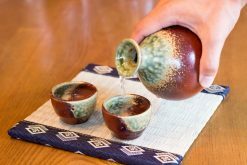 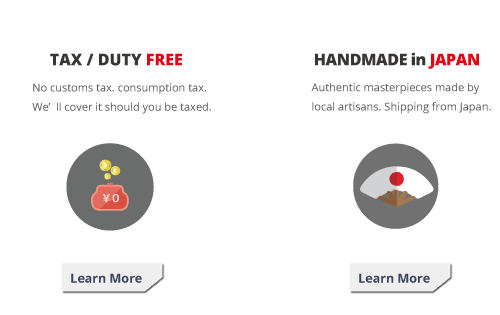 The sake vessel set includes two ochoko with the katakuchi, allowing versatility of solo Sake enjoyment, with a friend, or as a couple, forgetting the passing of time. 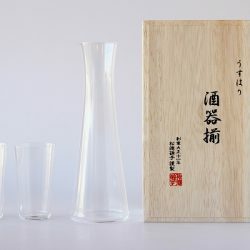 view of the katakuchi sake vessel is refreshing to the eyes as well. 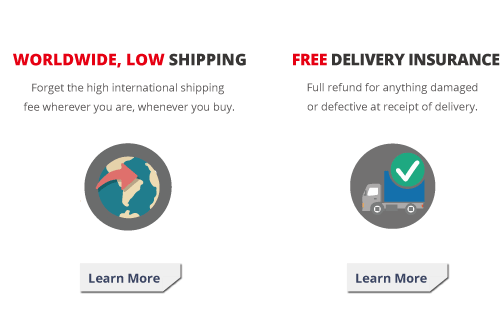 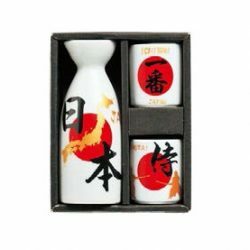 Ideal for Nigori sake, Sake with gold flecks or other slightly unusual Sake. 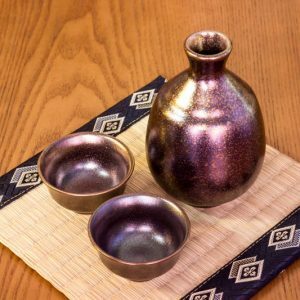 Of course, normal Sake can be enjoyed with this gold coated, sparkling sake vessel set. 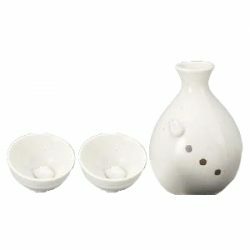 During the cold season, this set can reflect the warmth from the fireplace. 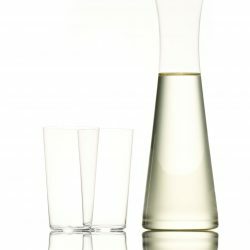 During the hot season, please try using this in a place where the sunlight filters through the trees to experience the true beauty of this product. 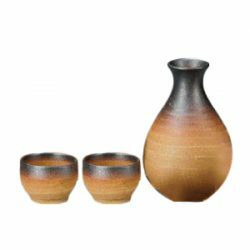 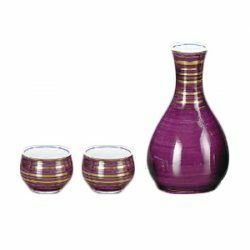 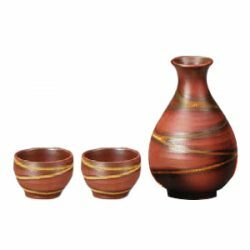 This set can be for personal use but with the unusual use of the color gold, it may bring happiness to others as a gift. 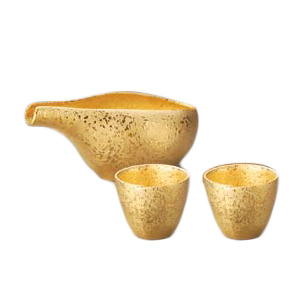 In Feng Shui, it is said gold raises luck in money and romance. 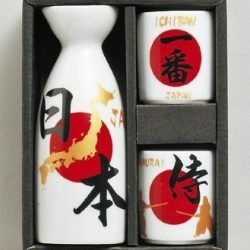 Ideal gifts for someone who has recently started a job or Sake lover newlyweds, to name a few ideas.